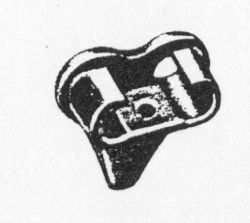 The track link pins were connected by means of end connectors which were held in place by a bevelled wedge nut. Because of this slight bevel the track links were forced to curl inward. 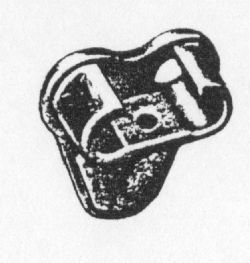 The end connectors were made of cast steel with integral guide horns. There were at least three standard end connector types. They come in two basic shapes, one with a narrow guide horn (for 1-1/8" and 1-1/4" diameter pins) and one with a wide guide horn (1-1/4" diameter pins). First type standard end connector: 1-1/8" diameter holes, large flats, only fits T41 and WE210 tracks. Second type: 1-1/4" holes, small flats, most common type. Third type: 1-1/4" holes, small flats, much wider guide horn. 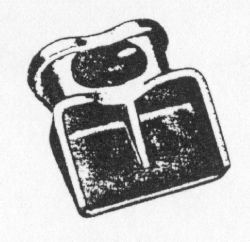 This part is listed with the T48, T49, T51, T54E1, T56, T56E1, T62, and T74 tracks, and NOT with the T41, T47E1, or the "CUFF TYPE". 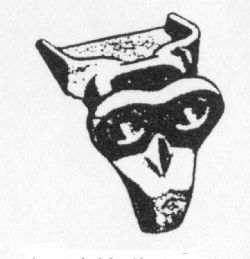 I suspect the various styles were acceptable variations of the part. If you ordered the part 7055614 you might get one any one of the 5 styles. 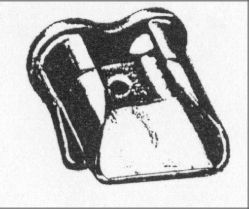 The reason there was no standardization of duck-bill parts numbers was that a large portion of the duckbill EECs used in Europe in fall 1944-winter 1945 were locally produced in Europe. The Army was so desparate for these due to the muddy weather that they put out local contracts in France and Belgium to have duckbills locally manufactured.This was the reason for all the variation in detail and design. 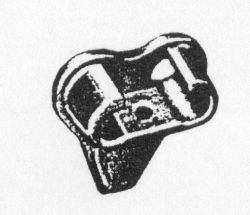 At least five extended versions of the common narrow guide horn end connector for 1-1/4" diameter pins are known. These extended end connectors or 'duckbills' added some 3.56" to the width of the track. 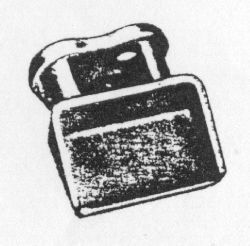 Type 1: pressed extension welded to second type standard end connector. Type 2: with strengthening ribs, probably one piece. 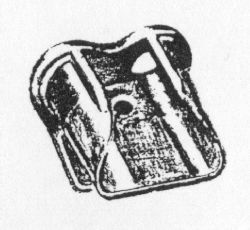 Type 3: rectanglar wedge hole, no "dip", probably two-piece welded assembly. 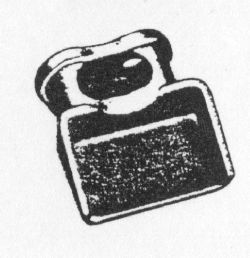 Type 4: oval wegde hole, with dip, one piece. Type 5: oval wedge hole, with dip and web, one piece.